Adding photos to Blogger blog posts is a very simple thing to do. Blogspot users don't have to upload the photos to any other image hosting service for posting images on Blogger. 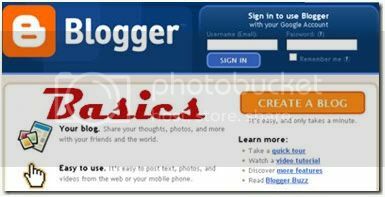 Blogger uploads your images to Picasa. To upload an image on Blogger, Create a New Post. There, among the list of options, you will see Add Image option. Click on it. You can choose the image from your computer or paste the URL of the image from the net. You can also choose whether you want the image to appear on the left, right or center of the blog post and the size of the image. Once you have chosen the options, click on Upload Image. Now check the blog post, the image will appear in the post.